Baedeker editions covering all of Germany in a single volume, in German. See also Southern Germany and Northern Germany, as well as editions in English and French. The earlier editions in this section cover Austria as well, under the majestic title "Deutschland und dem �sterreichschen Kaiserstaate". 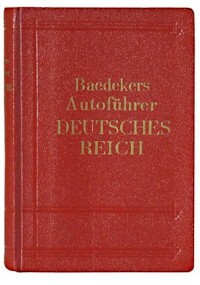 The "Autof�hrer" editions were the first books published specifically for tourists by car - until then, Baedekers were chiefly written with the tourist by train in mind. These editions may have a loose roadmap insert, which is particularly interesting.